MITO, Ibaraki Pref. (Kyodo) Twenty-two melon-headed whales that had washed ashore in Kashima, Ibaraki Prefecture, were rescued and returned to the sea Saturday by authorities and local volunteers. 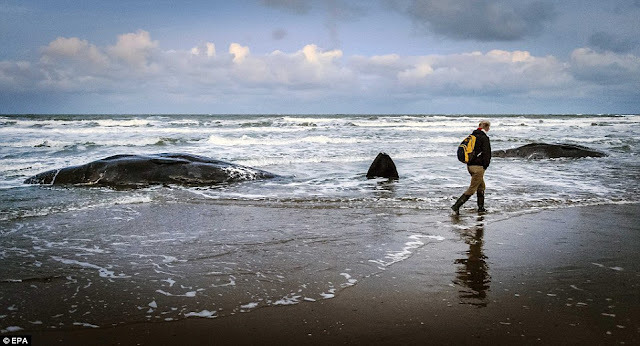 About 50 of the whales were found beached Friday night. Around 200 people, including staff from Ibaraki's Oarai Aquarium, municipal government officials and local residents and surfers tried to save the whales by keeping them hydrated while they tried to re-float them, but about 30 of them died, according to the municipal government. Melon-headed whales are commonly seen offshore around the area in early spring. We have located 5 earthquakes that might fit this stranding. 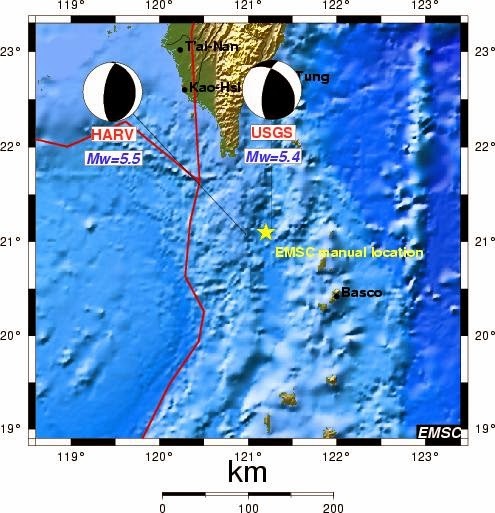 The one we favor occurred offshore of Taiwan on 15 February 2011 (Link). The epicenter was ~1500 miles upstream from the stranding beach. The distance and time traveled agree with the timing of the beaching. Assuming that the pods now driven in the drive fishery at Taiji were also previously injured by undersea earthquakes, making them easy to drive, Japan likely has far more beachings of whales and dolphins than any area in the world. It has a large populations of dolphins just offshore and more whale-dangerous earthquakes than any area on earth. An almost identical stranding occurred in February 2001 -- about 10 years earlier.